Rodolfo Costa holds the Chair of Genetics at the University of Padova, in Italy. For several years, his research focus has been the study of the biological clock in different organisms, in terms of its genetic/molecular features and its physiological and behavioural correlates. He is also active in the field of functional genomics, utilizing the fruit fly (Drosophila melanogaster) as a model for the study of homologues of human genes implicated in mitochondrial diseases. His research has been funded by the European Union (CEC Science Plan; EC-Biotechnology Programme; EU 6th Framework Programme – EUCLOCK; Marie Curie FP7 ITN – INsecTIME), the Helmholtz Centre for Environmental Research – POLARTIME, the Italian Ministry of Education, the Italian Ministry of Agricultural Policies, the Italian Space Agency, the National Research Council of Italy (CNR – EPIGEN), the University of Padova, and the CaRiPaRo and Telethon foundations. He has been actively involved in major popular sciences initiatives including the Genova Science Festival and the Padova Galileo book award. 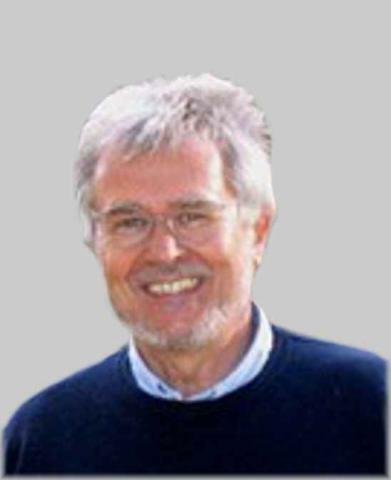 He is the past-President of the Italian Association for Genetics (AGI), and a member of the European Biological Rhythm Society (EBRS) and the American Society for Research on Biological Rhythms (SRBR). For several years, the research focus has been the study of the biological clock in different organisms, in terms of its genetic/molecular features and its physiological and behavioural correlates. Rodolfo Costa is also active in the field of functional genomics, utilizing the fruit fly (Drosophila melanogaster) as a model for the study of homologues of human genes implicated in mitochondrial diseases. •	Andreatta G, Kyriacou CP, Flatt T, Costa R (2018) Aminergic Signaling Controls Ovarian Dormancy in Drosophila. Scientific Reports, 8: 2030, doi: 10.1038/s41598-018-20407-z. •	Nagy D., Andreatta G., Bastianello S., Martin-Anduaga A., Mazzotta G., Kyriacou CP., Costa R. (2018). A semi-natural approach for studying seasonal diapause in Drosophila melanogaster reveals robust photoperiodicity. Journal of Biological Rhythms, doi: 10.1177/0748730417754116. •	Biscontin A., Wallach T., Sales G., Grudziecki A., Janke L., Sartori E., Bertolucci C., Mazzotta G., De Pittà C., Meyer B., Kramer A., Costa R. (2017). Functional characterization of the circadian clock in the Antarctic krill, Euphausia superba. Scientific Reports 7:1 7742. doi: 10.1038/s41598-017-18009-2. •	Schiesari L., Andreatta G., Kyriacou C.P., O'Connor M.B., Costa R. (2016) The Insulin-Like Proteins dILPs-2/5 determine diapause Inducibility in Drosophila. PLoSOne, DOI:10.1371/ journal.pone.0163680. •	Tauber E., Zordan M., Sandrelli F., Pegoraro M., Osterwalder N., Breda C., Daga A., Selmin A., Monger K., Benna C., Rosato E., Kyriacou C.P., Costa R. (2007). Natural selection favors a newly derived timeless allele in Drosophila melanogaster. Science 316: 1895-1898. •	Sandrelli F., Tauber E., Pegoraro M., Mazzotta G., Cisotto P., Landskron J., Stanewsky R., Piccin A., Rosato E., Zordan M., Costa R., Kyriacou C.P. (2007). A molecular basis for natural selection at the timeless locus in Drosophila melanogaster. Science 316: 1898-1900.